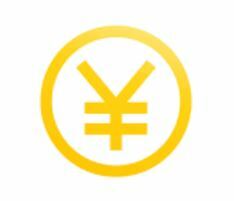 Sigma Remit is a payment service that allows importers and organizations make payments to their Chinese counterparts in Chinese Yuan Renmimbi (CNY or RMB). This service allows the Nigerian importer make payments for invoices in RMB. The importer pays us in naira while we make payment to the Chinese supplier in RMB. How long does remittance take? Once we have received your payment, please allow for 0-4hours to complete payment. Yes. We have a KYC policy to know the identity of our clients and the source of their funds. We would need to ensure that we are dealing with legitimate businesses with verifiable sources of income. At the barest minimum, we will request for your bio data and means of identification for individuals. For companies, we will also require a copy of your certificate of incorporation, in addition to identification documents of any major directors and/or bank signatories. What bank account can I pay from? Please pay from an account with the same name as that on your ID or Certificate of Incorporation. Okay. I want to do business. How do I contact you? You can contact us via phone at 0706 326 6278. You can click on the phone number to chat via whatsapp, which is what we prefer.